الحمد لله الذي هدانا لهذا و ما كنا لنهتدي لولا أن هدانا الله لدينه القويم و شرعه الحكيم، فرضينا بالله ربّا، و بالاسلام دينا، و بمحمد صلي الله عليه و سلّم نبيّا و رسولا و إماما، فله الحمد - سبحانه و تعالي - علي ما لا يحصي من نعمه الجزيلة، جُعِلْنا من أمة سيّدنا محمد خاتم النّبيّين، و المرسلين، و إمام المتّقين، و قائد العز المحجلين، صلوات الله المباركات و تسليماته الزاكيات عليه، و إخوانه، و آله، و صحابته من المهاجرين، و الانصار، و الذين آمنوا - سبقا و إحسانا - بالنبيّ الامين و عزروه و نصروه و اتبعوا النور الذي أُنزل معه ألولئك هم المفلحون. و نسأله تعالي الرحمة و الرضوان لمن تبعهم باحسان من إخواننا في الدين من خلال القرون إلي هذا الجيل، الذي إحتسبنا فيه عند الله تعالي من قضوا نحبهم في سبيله، و ندعوه جلّ جلاله أن يحفطنا و من ينتظر مستقيمين علي أمره و ما بدّلوا تبديلا، و يختم لنا بخير علي خطي الذين أنعم الله عليهم من النبيّين و الصدّيقين و الشهداء و حسن أولئك رفيقا. أللهم أرنا الحق حقاً و وفّقنا إلي اتّباعه، و أرنا الباطل باطلاً و أعنّا علي اجتنابه. أللهم اليك اشكو ضعف قوتي، و قلّة حيلتي، و هواني علي الناس، يا ارحم الرحمين. انت رب المستضعفين، و انت ربي. إن لم يكن بك علي غضب فلا ابالي، بلا عافيتك هي اوسع لي. أعوذ بنوروجهك الذي اشرقت له الظلمات، صلح عليه امر الدنيا و الآخرة من ان تنزل بي غضبك، او يحلّ علي سخطك. لك العتبي حتي ترضي, و لا حول و لا قوّة الا بك. The most difficult question for us, before these shahids in Potocari, is how to tell them that we help one another, that we are ready to put our personal interests aside in order to subjugate them to the well being of all, the people and the state, emphasized reis Ceric in Potocari today. Thanks to Allah, the Source of the Light of the Heavens and Earth! Allah guides to the Light the one He wants to. Allah knows everything. This year July coincided with the month of Redzeb. Both of these months have a special meaning for us. In the month of Redzeb, Noah’s Ark, as per Allah’s command, saved the humanity. Therefore, Noah a.s., has proscribed to his people to fast in the month of Redzeb. In the spirit of that tradition of Noah’s, Mohammad a.s. stated that the month of Redzeb is so chosen for the good deeds to be rewarded multifold, and to those who fast one day in Redzeb it will be taken as if they have fasted the whole year. In the month of July there was no ark of Bosnia to save Bosnians from genocide, but the Bosnian soul has survived and it testifies, today and here, about the evil of man ( النفس أمّارةٌ بالسوء), because of which the soul of humanity suffers today, (النفس اللوامة), as the Bosnian soul has not rested (النفس المطمئنّة) from the crime of genocide. And the longer the evil ( النفس أمّارةٌ بالسوء) is free, the longer the soul of humanity is going to suffer from guilt of conscience, (النفس اللوامة), and the soul of Bosnia will find rest less and less (النفس المطمئنّة). Therefore the evil ought to be tamed and put into its place, as the soul of humanity can not take the pain anymore, as the Bosnian soul can not take the unease anymore. The Bosnian soul must find its peace both in Heavens and upon Earth. The soul is the one being of humanity. It is not limited by any markings, has no colour, no race, no path. The soul is outside and above body. It lives even after body dies. The body consists of various parts, is limited with various markings, caused by various circumstances, subject to various sensations. A wound upon body is painful, however, a wound upon the soul is even more painful as it touches the very being of humanity. Ne zaboravite srpsko-crnogorski genocid nad Bošnjacima! Therefore, when you are here in Potocari on the day of July 11, do not ask how many bones have been exhumed, but ask how many souls at peace there are, and how many are still waiting for us to mention their name, to tell them how it is here for us - the ones who reveal our deeds before them. As we are taught in one of the verses: “ Your deeds are put before your ancestors and kin who have passed on into the other world, so if your deeds are good, they are content and happy, but if they are not, then they study the prayer: “ God, let them live so that you can show them the right way just as you had shown us” (اللهم لا تمتهم حتي تهتديهم كما هديتنا. Dear brothers and sisters, it has never before, and especially in this place, been so important to hear this message, and it is that this place and this day is but an exam for all of us, like the exam at the Judgement Day, when all look at our deeds - our ancestors and our offspring. What do we have to tell them about our unity or disunity, our honesty or dishonesty, our maturity or immaturity, our mutual solidarity or lack thereof?! Have we understood this message (of Mohammad a.s.) : المؤمن مرآة المؤمن (a believer is a mirror for another)?! Therefore a deed of one of us is a mirror for all of us. So if you see a bad deed of your brother's, immediately make it good within yourself. But the most difficult question for us before these shahids in Potocari is to tell them how we are ready to put our personal interests aside so as to subjugate them to the well being of all, the people and the state, as our faith teaches us :“ He, who is not prepared to help his brother, will experience humiliation from which he will not recover“. As one, who is not in service of the people, is neither in service of God Almighty. So, it is upon us to build a Bosnian Ark, just the one like Noah's, in which all will have enough space and in which all will be content and happy. That is a command to us by God Almighty „Who has created us of one soul (خلقناكم من نفس واحدة), out of which a pair was created, a man and a woman, who have multiplied. Therefore keep in mind God's presence and do not break family ties as God Almighty sees everything you do (Qur'an 4:1). Awareness that in Potocari, on the day of July 11, 1995, people were killed just because they were Muslims prompts a surprise in us as we can not believe that something like that could have happened in Europe after the Second World War, and it creates a feeling of terror as we fear that something like that can happen again if the Bosnian Muslims are left without a capability to defend themselves from pogrom and killing. 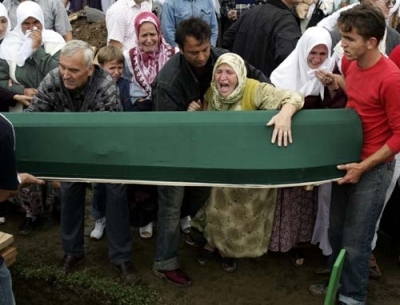 It is not possible to find proper words of consolation for the victims of the Srebrenica genocide, but it is possible to express respect for the mothers of Srebrenica who carry their pain believing in God and hoping that the Srebrenica sacrifice was not in vain. 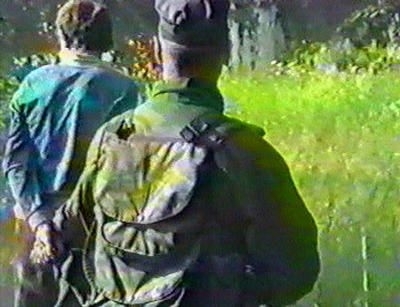 There are many villages and towns in Bosnia and Herzegovina where crime was committed upon innocent civilians. 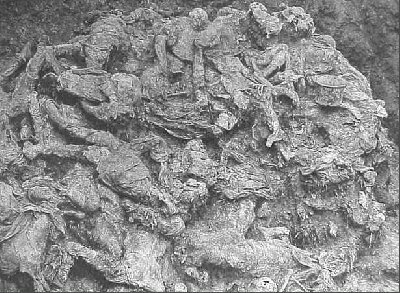 Srebrenica is, however, the symbol of greatest human suffering at the end of the twentieth century and therefore we call upon Europe today to proclaim July 11 the day of mourning, in which day all of the people and nations of Europe would bind one another so that Holocaust and Genocide never ever happen to anybody. Let mother’s tear be prayer! 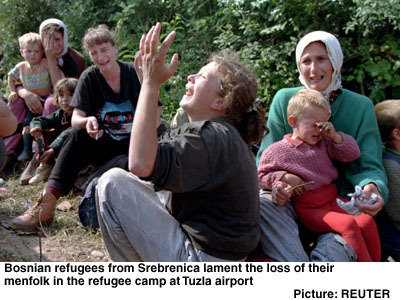 That Srebrenica never ever repeats itself upon anybody! » THE HALAL THAT IS FOR ALL! » KHUTBA ON THE ASSEMBLY OF THE PROPHET P.B.U.H. » DR. CERIĆ: THIS IS A BIG CONSPIRACY AGAINST ISLAM AND MUSLIMS IN THE EAST AND THE WEST!